All material contained on this website is copyrighted and owned by GLBC unless otherwise stated. Students have a limited license to use the Content to complete class projects. All class projects must include a disclaimer statement that the work or project is not sponsored by, associated with or endorsed by GLBC. If you are a Student in compliance with this exception, you agree that no portion of the project bearing Content shall be uploaded or posted to the Internet in any manner including, but not limited to, uploading or posting to any commercial or non-commercial website, any social media website or any other vehicle that will reproduce GLBC Content on the Internet, unless 1) you have express written permission from GLBC to post or upload content, and 2) you include a disclaimer that the work or project is not sponsored by, associated with or endorsed by GLBC. Authorized dealers, distributors, sales representatives and retailers (“Users“) have a limited license to copy and use GLBC trademarks, trade dress and approved copy from the Online Media Library as accessed through the Distributor Login page (“Approved Property”) on promotional materials used to promote the associated products. Promotional materials include approved advertisements, circulars, banners, signs and point of sale. Each item of Approved Property that is used must be displayed in its entirety. For example, modification or use of less than the entire trademark or logo is prohibited. 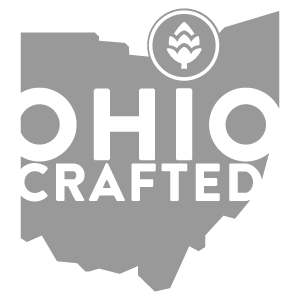 Approved Property associated with a particular brand of GLBC beer may only be used to promote the product that is available to the Users for sale and not expired. At no time shall GLBC Approved Property promote the sale or consumption of the product after the product inventory has reached its expiration date. Use of GLBC labels, caps, cartons and boxes, or any other merchandise bearing the trademarks, trade dress or other proprietary information of GLBC in connection with the promotion or sale of any commercial products not originating with GLBC is strictly prohibited. THIS WEBSITE IS PROVIDED “AS-IS”, and GLBC makes no representations or warranties of any kind, express or implied, including, but not limited to, the implied warranties of merchantability, fitness for a particular purpose, title and non-infringement. GLBC does not warrant or make any representations regarding the use or the results of the use of this website in terms of correctness, accuracy, reliability or otherwise. Your use of this website is at your own risk. GLBC shall not be liable for any incidental, direct, indirect, punitive, actual, special, exemplary, consequential or other damages arising out of or in any way connected with the use of or inability to use this website or any information provided on this website. This includes, but is not limited to, damages or injury caused by error, omission, deterioration or corruption of files, failure of performance, delay in transmission, line failure or computer virus, worm, Trojan horse or other harmful component, deletion or corruption of email, loss of data and/or delays. You hereby grant to GLBC the royalty-free, perpetual, irrevocable, worldwide, non-exclusive right and license to use, reproduce, modify, adapt, publish, transmit, post, create derivative works from, distribute, perform and display all content, remarks, suggestions, ideas, graphics or other information communicated to GLBC through this site (“Submission”) and to incorporate any submission in other works in any form or media now known or later developed. GLBC is not required to treat any Submission as confidential and may use any Submission in its business without incurring any liability for royalties or any other consideration. You may not post, send, submit, publish or transmit in connection with this site any material that is unlawful, vulgar, obscene, pornographic, indecent, libelous or threatening, or otherwise objectionable material. GLBC assumes no responsibility or liability for claims relating to any such material. You may not upload, post or otherwise distribute on this website anything protected by copyright or other proprietary rights unless the owner of the applicable copyright or proprietary right has given you express authorization to do so. Unauthorized use, uploading, posting or distribution of content protected by copyright or other proprietary rights is illegal and subject to civil penalties and criminal prosecution. 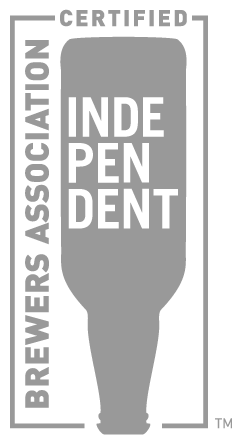 This site may contain links to sites owned or operated by parties other than GLBC. Such links are provided for your convenience only and are not sponsored by or affiliated with this site or GLBC. GLBC does not control and is not responsible for the content or privacy policies on those sites. Links are to be accessed at the user’s own risk, and GLBC makes no representations or warranties about the content, completeness or accuracy of the linked sites. The inclusion of any hyperlink to a third party site does not imply endorsement by GLBC of that site. (2) Identification of the copyrighted work claimed to have been infringed, or, if multiple copyrighted works on a single online site are covered by a single notification, a representative list of such works on that site. (3) Identification of the material that is claimed to be infringing or to be the subject of infringing activity and that is to be removed or access to which is to be disabled, and information reasonably sufficient to permit GLBC to locate the material. (4) Information reasonably sufficient to permit GLBC to contact the complaining party, such as an address, telephone number and, if available, an electronic mail address at which the complaining party may be contacted. (5) A statement that the complaining party has a good faith belief that use of the material in the manner complained of is not authorized by the copyright owner, its agent or the law. Please consult your legal counsel or see Section 512(c)(3) of the DMCA (17 U.S.C. § 512(c)(3)) to confirm these requirements are current. After receiving a notification of alleged infringement, GLBC will remove or disable access to the material claimed to be infringing or claimed to be the subject of infringing activity in an expeditious manner. At the same time, GLBC will provide the user that provided the affected content with a copy of the notification. The provider of affected material may make a counter notification pursuant to Sections 512(g)(2) and (3) of the DMCA. Upon receipt of a proper counter notification, GLBC may reinstate the material in question. (1) A physical or electronic signature of the provider. (3) A statement under penalty of perjury that the provider has a good faith belief that the material was removed or disabled as a result of mistake or misidentification of the material to be removed or disabled. (4) The provider’s name, address and telephone number, and a statement that the provider consents to the jurisdiction of Federal District Court for the judicial district in which the address is located, or if the provider’s address is outside of the United States, for any judicial district in which GLBC may be found, and that the provider will accept service of process from the person who provided notification under subsection (c)(1)(C) or an agent of such person. Please consult your legal counsel or see Section 512(g)(3) of the DMCA (17 U.S.C. § 512(g)(3)) to confirm these requirements are current. Upon receipt of a counter notification in substantial compliance with the DMCA, GLBC will provide the person who provided the initial notification of claimed infringement with a copy of the counter notification promptly. GLBC will replace the removed material and cease disabling access to it not less than ten (10), no more than fourteen (14), business days following receipt of the counter notice, unless GLBC first receives notice from the person who submitted the notification that such person has filed an action seeking a court order to restrain the provider from engaging in infringing activity relating to the material on GLBC’s system or network.